The former Ulster Bank building in Newcastle was bought by Alterity Investments, has recently been redeveloped to provide 5 apartments and a purpose built ground floor retail unit. The ground floor unit on Main street, Newcastle is currently let to Caffe Nero on a 10 year lease creating a yearly net income of £35,000 is being marketed for £500,000. 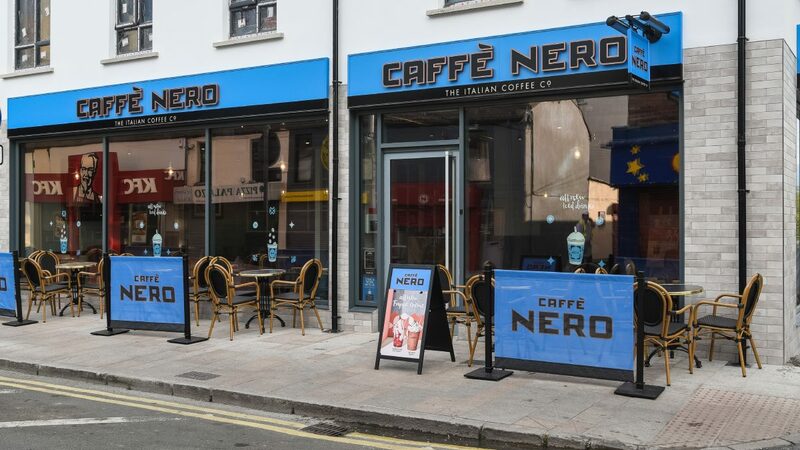 Alterity Investments have been working with Caffe Nero to expand outside Belfast. The unit is situated amongst a combination of retailers, restaurants, cafes and guest houses. Caffe Nero is one of the fastest growing coffee shop businesses in Northern Ireland with more than 20 stores in the province. Most recent openings include Ballyhackamore and The Soloist Building near the Waterfront Hall. Another store is due to open in South Belfast, Ormeau Road. The coffee chain is now worth an estimated £230m across its UK business. Alterity Investments have had recent success in developing purpose built destinations with Boucher Square, Belfast which houses Nandos, Eddie Rockets, Prezzo, Costa Coffee and Frankie & Benny’s.